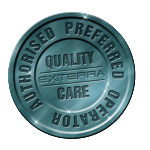 Give us a call today on 0406 983 822 to book an eco-treatment or quote. If you prefer to fill the below form in, please do as you are important to us and we shall contact you within 24hours. Thank you! Key words used on search?